Red Box International Static Frequency Converters employ high frequency PWM technology (IGBT’s) to achieve a high quality output under all load conditions. The systems are designed with PFC (Power Factor Correction), thereby reducing input current and harmonic distortion. Red Box International Static Frequency Converters are available in a wide power range and include an output isolation transformer as standard. The design offers flexibility on the input as well as the output, and can be configured for a wide variety of voltages and frequencies. A comprehensive LCD display, control panel and data logger provide detailed and accurate status and control of the system. The Red Box International RBC series provides flexibility, efficiency and compatibility in applications where high quality wave shape is a critical factor. *Other voltages and frequencies available on request. For weight and dimensions of each unit please contact us directly. The Power Factor Corrected rectifier converts the single or three phase mains supply into DC, the PWM inverter switches the DC back to AC at the desired frequency and voltage, the output transformer provides Galvanic Isolation which isolates the input and output from each other. The output neutral is bonded to earth for safety. The system provides electronic overload protection to protect the system from excessive loading. Standard overloads settings allow for 121% for 2 minutes and 160% for 5 seconds. The system provides electronic short circuit protection by combination of IGBT saturation detection and peak current limiting. The system has a high fault clearance capability, as a general rule the system can clear a load circuit breaker of typically one third of the output current (C Curve). Designers should bear this in mind when calculating fault discrimination. The system provides over voltage protection by monitoring input and output voltages electronically and shutting down the system to prevent damage. In addition, surge arrestors are fitted to the input and output for additional protection. On three phase input systems, the phase rotation is checked before initialising the rectifier to ensure phase rotation is correct (clockwise). Includes 1 volt free contact for status of the system output. Normally open and normally closed contacts are provided. Alarm relays are energized when in healthy condition and relax into the fault condition. This ensures the contacts indicate a fault condition even when the system is off. Other voltages and frequencies available on request (optional extra for 5-20kVA units). Valve Regulated Lead Acid (VRLA). 10 Year Life at 20˚C. Complies with BS EN60896-2 (optional extra for 5-20kVA units). Available for more comprehensive monitoring (optional extra for 5-20kVA units). 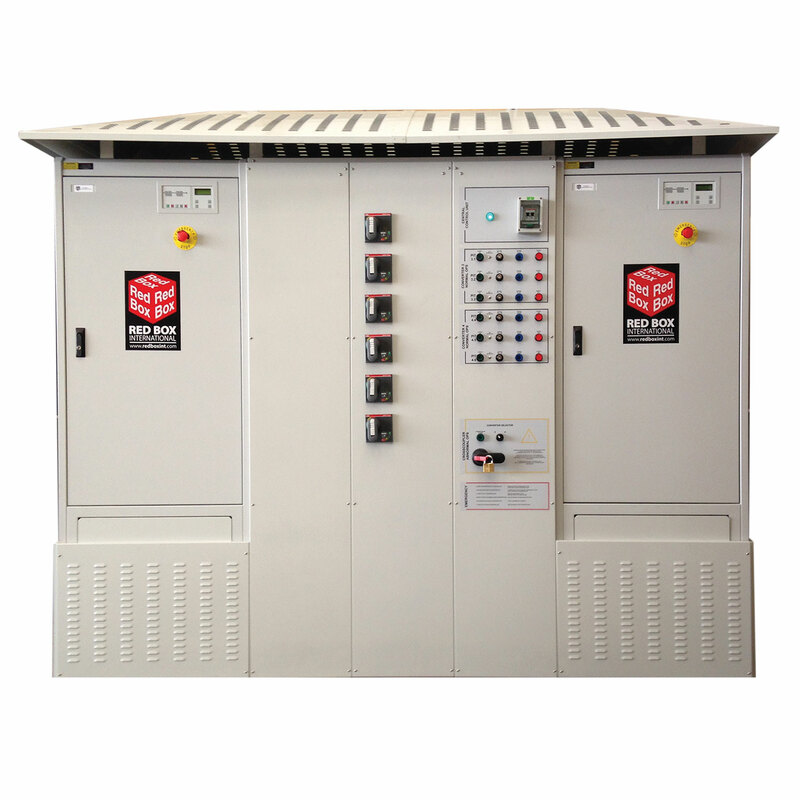 Turns off system output and shuts down rectifier (optional extra for 5-20kVA units). Single or double pole output circuit breakers can be fitted internally to eliminate the need for an external distribution board. Maximum number of outlets is 10 for single pole and 5 for double pole. Indicates downstream earth leakage, can be set to 30, 100 or 300mA. The system can be monitored and interrogated remotely using RS232 connection. Allows the inverter to be controlled remotely. Enclosure ratings are available from Standard IP 23 – maximum IP 54.